For a real “cool” science project, create a cooler that not only looks good, but actually keeps food and beverages cold. You can use insulation materials such as fiberglass, cellulose, vermiculite and various foams to get the job done. Just remember that your cooler must maintain a temperature of 40 degrees or colder to be safe and effective. Prepare a cardboard box to transform into a homemade cooler. Remove the flaps from the top of the box. Place a 4-inch strip of duct tape on each opposite inner side of the cardboard box, about 4 inches below the top. Carefully place a second 4-inch strip of duct tape on the outside of the box, even with the tape on the inside of the box. Cut two 1/2-inch holes 2 inches apart near the center of both of the two strips of duct tape, creating four holes. The holes should be even with each other. Thread a 8-inch long, 1/2-inch-thick section of nylon rope through each set of holes. Tie the two ends together in a tight double knot on the outside of the box. This creates the handle for your cooler. Line a 24-inch by 24-inch cardboard box with plastic by inserting a black trash bag into it as if you were going to use the box as a trash can. Flatten the bag against the sides of the box. Trim the trash bag to be flush with the top of the box. Tape the trash can to the cardboard box around the entire top edge with duct tape. Measure the bottom of the box. Cut a sheet of 1-inch craft foam to fit the bottom. Insert the craft foam into the bottom of the box to hold the plastic in place. Measure two opposite sides of the box from side to side. Measure from top to bottom and subtract 1 1/2 inches from the total. Cut two panels of 1/2-inch foam to match your measurements and fit the sides. Add glue and fit the panels into place. Repeat this procedure with the other two sides of the box. Prepare to make an inner box by making four craft foam panels. Cut two panels from 1-inch craft foam that are approximately 19 1/2-inches long and 21 1/2-inches tall. When placed upright on the bottom of the box, adjust the craft foam to reach 1 inch below the top of the box. Cut two more panels that are 17 1/2 inches long and 21 1/2 inches tall. Glue the four 1-inch craft foam panels together to form a box that is 21 1/2-inches tall. Once the glue has dried, center the craft foam box inside the cardboard box, leaving a space almost 4 inches between the craft foam box and the cardboard box on all four sides. Glue the craft foam into place. Fill the space between the two layers of craft foam with vermiculite, a granular insulating material, or a similar insulating material. Cut four strips of 1/2-inch craft foam wide enough to cover the tops of both rows of craft foam on either side of the insulation. Glue it on both sides to create a cover that keeps the vermiculite in place. Cut a sheet of 1-inch-thick craft foam that covers the entire top of the box. Cut two 1/2-inch-deep fingerholds on one edge of the craft foam lid. Repeat the step on the opposite end of the craft foam. The cuts should be very near the edge or right on the edge of the lid. Fill the box with ice, place the lid on, and you've made a nifty science project that will keep your drinks and food cool! Test your cooler's temperature with a thermometer. If it's not cool enough, you can add more craft foam for better insulation. 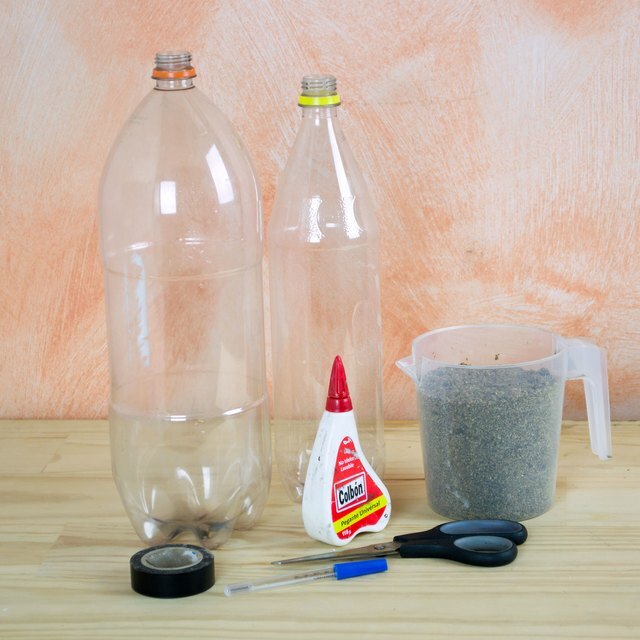 Craft glue is well suited to this project, although hot glue will give you a stronger bond. Collins, Joan. "How to Make Your Own Cooler as a Science Project." Sciencing, https://sciencing.com/make-own-cooler-science-project-6703910.html. 30 April 2018.